This is the very first smile! The day Uzair was born is certainly the most blissful day of my life. For so long, Jia and I waited for this day and we couldn’t be more happier. 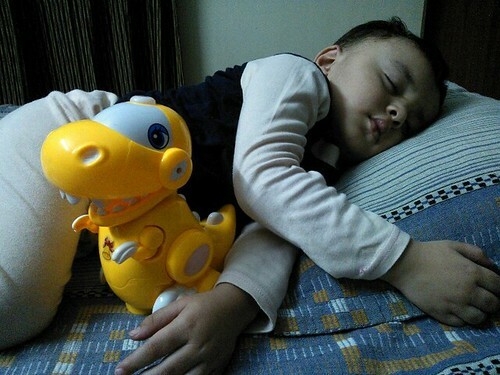 But as I took this snap of sleepy Uzair later on that day, I thought that he might feeling be more happy than his parents. Though he doesn’t smile like this anymore while sleeping, I still love to see him asleep and wonder what’s he dreaming about. Thanks for liking the snaps, Debbie. Have a nice day!